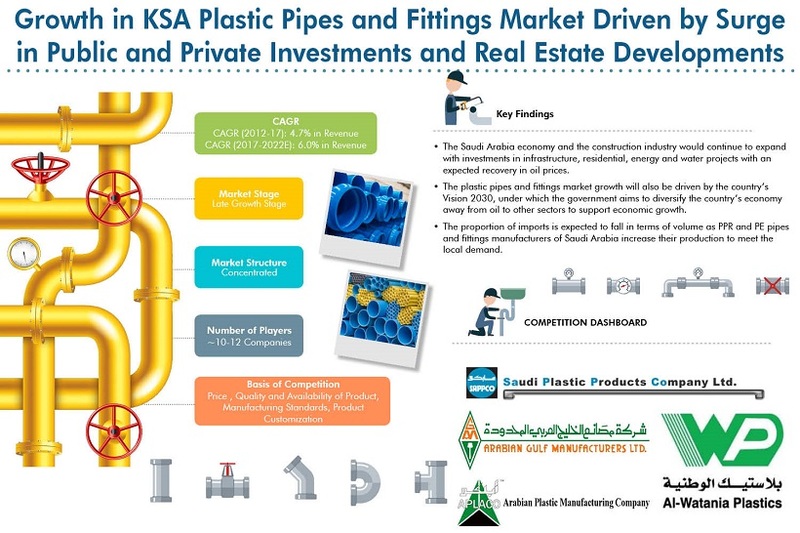 The report titled “Saudi Arabia Plastic Pipes and Fittings Market Outlook to 2022 – By Type of Pipes (UPVC, PVC and CPVC, PE and Others) and Type of End Use Applications (Irrigation, Water Supply and Sewage, Plumbing, Chemical and Oil and Others)” provides a comprehensive analysis on the Plastic Pipes and Fittings industry of Saudi Arabia. The report covers various aspects including introduction, value chain, manufacturing process, inspection and testing, stakeholders in the market, market size by revenue (2012-2017), market segmentation on the basis of types of pipes, type of market structure, type of end user application, factors determining prices, competitive landscape, market share and company profiles of major players, common manufacturing standards used, growth drivers, issues and challenges and porter five forces analysis for the industry. 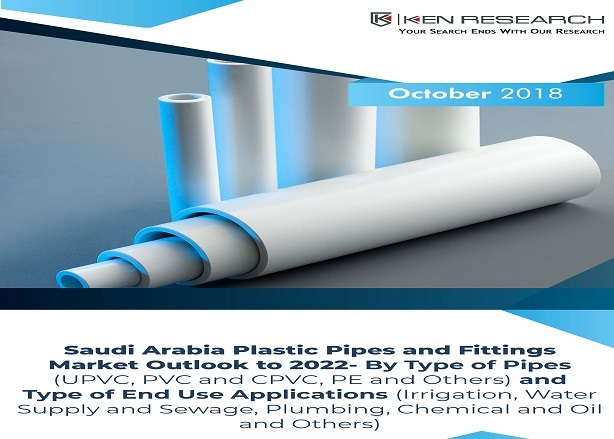 The report also includes future outlook for the market (2017-2022) including estimated market size in terms of revenue, market segmentation on the basis of type of pipes, type of market structure and type of end user application for the period.